Two of Britain’s leading theatre companies, Extant and Yellow Earth have joined forces to present an ambitious exciting new play called ‘Flight Paths’ at The Lowry Wednesday 13th February 2019. ‘Flight Paths’ features four blind performers and is inspired by the tradition of the Japanese Goze – where blind female performers travelled around medieval Japan making a living from telling epic tales. Moving between tradition and modernity the blind performers weave together personal stories of themselves as artists from Japan, Nigeria, USA and Australia in a multi-media, story-telling circus production that combines aerial, music, narrative and creative audio description that uses new sound technology. 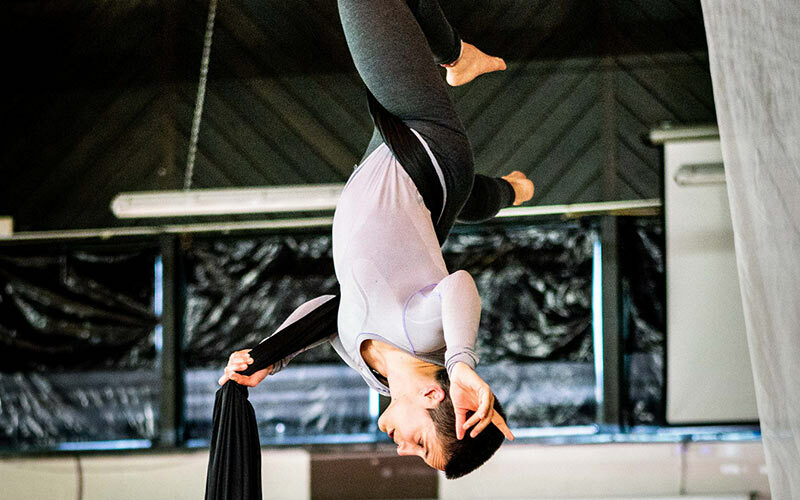 Extant are proud to be the first theatre company to integrate access into aerial silk performance. Flight Paths will showcase outstanding aerial and physical theatre. ‘Flight Paths’ brings together two pioneering theatre companies. Founded in 1997 by Artistic Director Maria Oshodi, Extant is the leading performing arts company and charity in the UK managed for and by visually impaired professional arts practitioners. 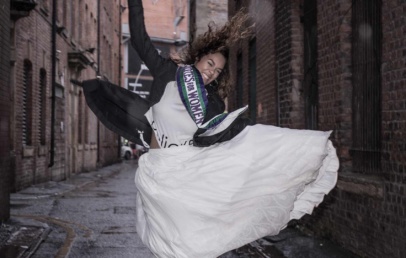 Vicki Amedume, Artistic Director of Upswing has worked on the movement and aerial performances for this production.